Make your cowboy party special. 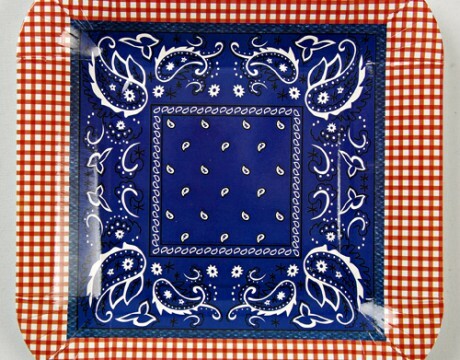 12 square format party plates for a cowboy party featuring a traditional western style pattern with checks and paisley in blues and reds. 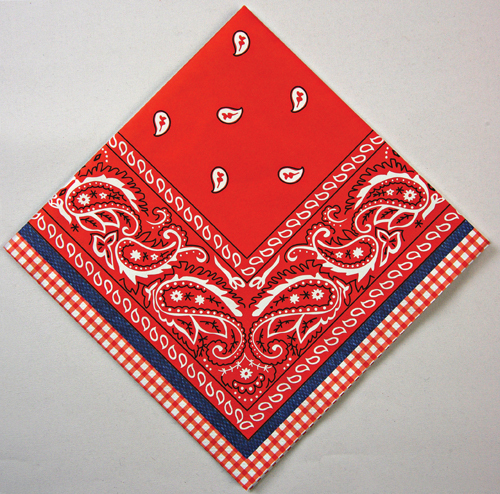 Matching napkins are available and we combine these with the plain red cups for our Cowboy party. Size: 7 3/8" x 7 3/8"